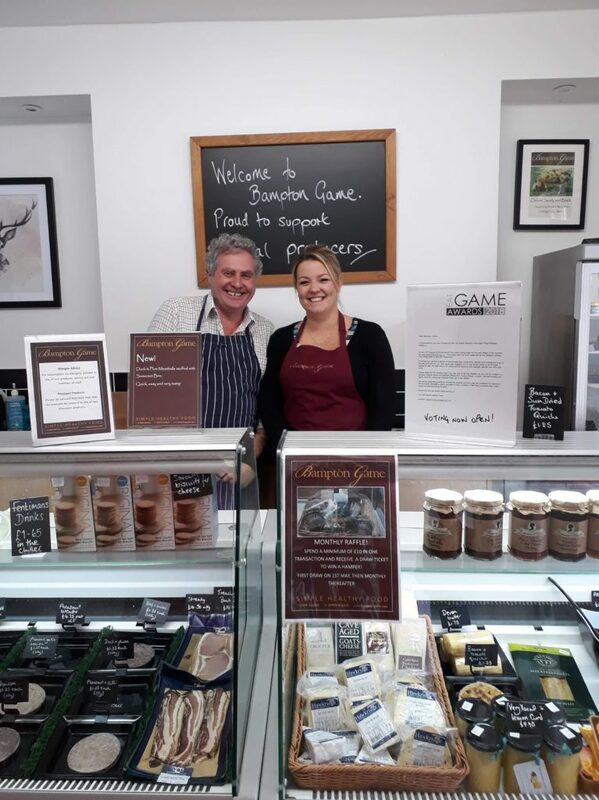 Our wonderful supplier Bampton Game owned by Alan Loftus has been nominated by the general public for the national 2018 Eat Game Awards taking place in London next month (October 2018). Bampton Game, which is based in our market town on Brook Street, has been put forward by its customers, including us, for the Best Small Retailer category. Alan explains: “We’re absolutely delighted to have been nominated for this award and are passionate about what we do. Now all we need is for more people to vote for us on the Eat Game Awards website, so that we can reach the finals. The Eat Game Awards are aimed at celebrating the best wild British produce. The initiative recognises great culinary achievements and other contributions to the cooking and eating of game. The general public was invited to nominate the individuals or businesses they felt embodied the criteria in each category in the summer. The top 10 nominees from this process have now moved on to the voting stage and rely on people’s votes to get through to become finalists. We’re thrilled that Alan has been nominated for this award and are urging all our customers who enjoy his wonderful game to vote for him, so that he goes forward to become a finalist. It’s a marvellous achievement to get this far and it is well-deserved. We only use the very best local ingredients here at the pub and Alan’s game is exceptional. Please vote for Bampton Game!